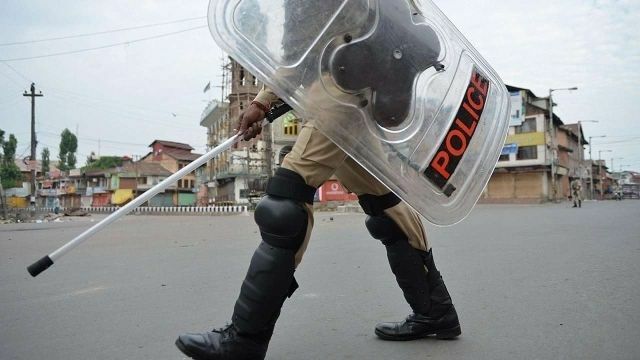 Srinagar : Militants gunned down three policemen on Friday, hours after they were abducted from their homes in south Kashmir’s Shopian district, police said. A police officer told IANS that locals discovered their bullet-riddled bodies in a village in the morning, triggering a widespread manhunt to identify their killers. The slain policemen were identified as Firdous Ahmad Kuchai, Nisar Ahmad Dhobi and Kuldeep Singh. The horrific incident comes days after militants issued threats by making announcements in some mosques in Shopian, asking the policemen to quit their jobs or face consequences. Police said four people, including a policeman’s brother, were abducted on Thursday night from their homes in Shopian — a known militant hotbed in south Kashmir. The four were abducted from Kapran and Batgund villages, surrounded by a thick cover of apple orchards. The fourth abducted person, a civilian, was released unharmed. “We have lost three of our brave colleagues in a barbaric terror strike. Our tribute to the three martyred jawans. We condemn this inhuman act and assure that all the culprits shall be dealt under law,” Jammu and Kashmir Police tweeted. An operation has been launched in Shopian to trace the militants involved in the killings. The victims were Special Police Officers (SPOs), engaged in counter-terrorism operation on a meagre remuneration of Rs 6,000 a month. There are around 32,000 such cops working for the state police and there are demands that their services should be regularised. Militants have been threatening SPOs in Kashmir to give up their jobs. Former Chief Minister Mehbooba Mufti expressed “outrage” and “shock” over the the killings and asserted that dialogue was the only way out of the ongoing cycle of violence in Kashmir. “Three more policemen have lost their lives to militant bullets. Outrage, shock and condemnation will be expressed by all of us on expected lines. Unfortunately, it brings no solace to the families of the victims. “Clearly, with the rise in kidnapping of police personnel and their families, the Centre’s muscular policy is not working at all. Dialogue, the only way forward seems to be a distant dream for now,” Mufti tweeted. The Friday killings are the latest in a series of attacks and abductions of Kashmir policemen and security men in south Kashmir.